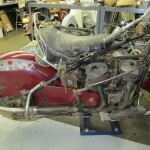 The home of Highway Choppers and vintage Harley restoration. 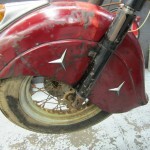 Posted in: Cool Stuff. 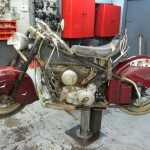 Tagged: All-Original, Barn Find, Indian. 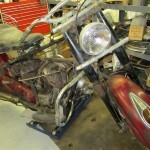 This 1950 Indian was found in a barn in Pennsylvania. 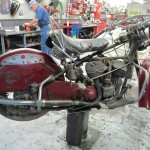 It was originally brought to us for restoration, but we talked the owner into getting it running and leaving it original after we saw how special this bike was. 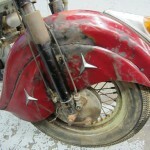 1950 was the first year Indians were produced with a telescopic front fork as well as left-hand shift and right-hand throttle. 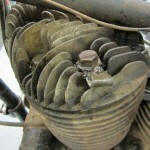 It was also the first year for the 80 cubic inch motor. 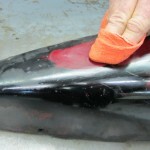 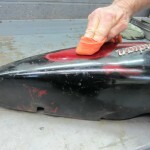 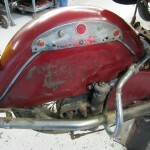 This bike was painted black when it came to us, but we removed the black paint to find the original Indian Red paint. 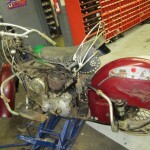 Original-paint bikes are much more desirable than restored ones, in our opinion. 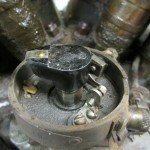 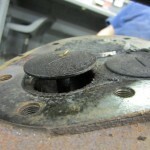 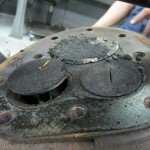 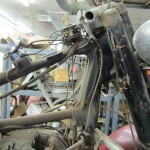 In order to get it running, we may have to do a top-end on it. 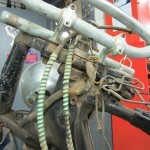 We also anticipate having to rewire and rebuild some components. 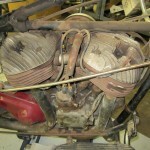 This project may take a couple of months. 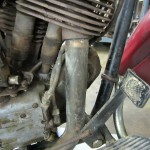 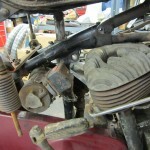 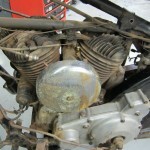 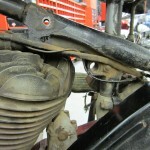 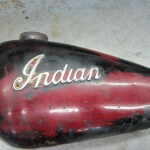 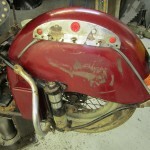 These pictures may give you an idea of what an original 1950 Indian looks like.